2018, July 6 to July 11th. 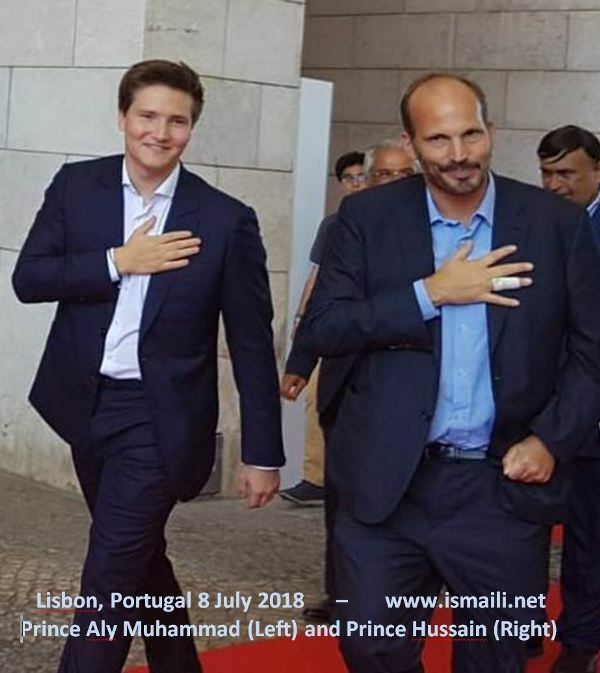 Mowlana Hazar Imam arrived in Lisbon for Diamond Jubilee Celebrations on 6th of July 2018. 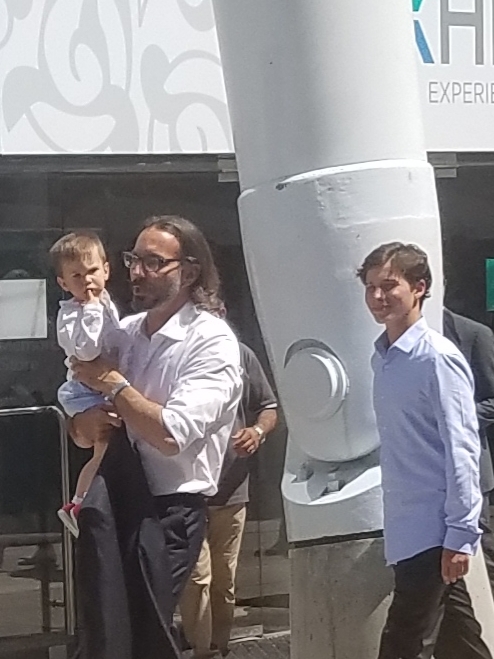 Prince Amyn, Prince Hussain and Prince Aly Muhammad were first to arrive. Other members of the Noorani Family are "expected" to join in the Presidential Dinner on 9th July 2018. 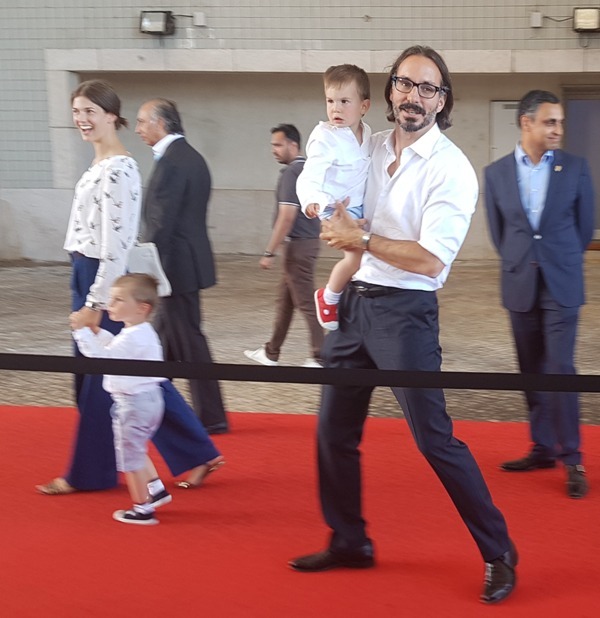 Prince Hussain and Prince Aly Muhammad seen here at the Portuguese Pavilion coming out of the Exhibition and attending part of the Talent Show. 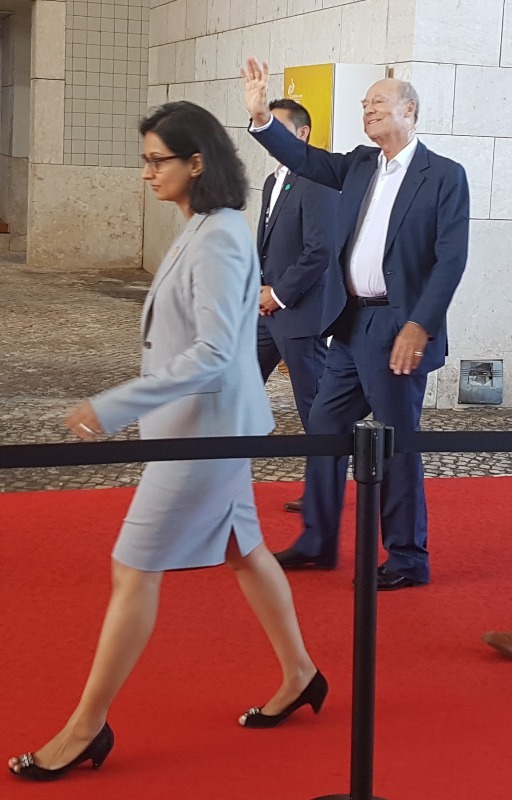 2018, July 9: Lisbon, Portugal. Jubilee Jubilation! 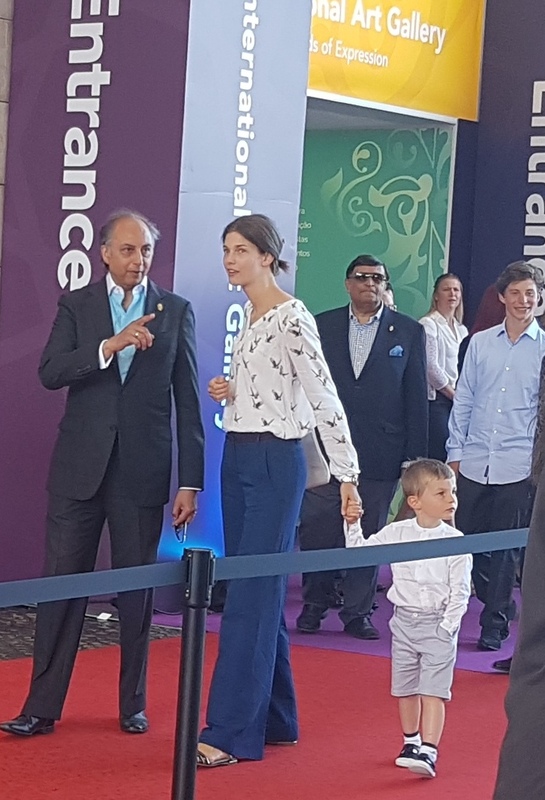 Eight Members of the Noorani Family came to the Diamond Jubilee Celebrations this day and visited the Rays of Light Exhibition as well as the International Art Exhibition before attending part of the Talent Show with the Jamat. 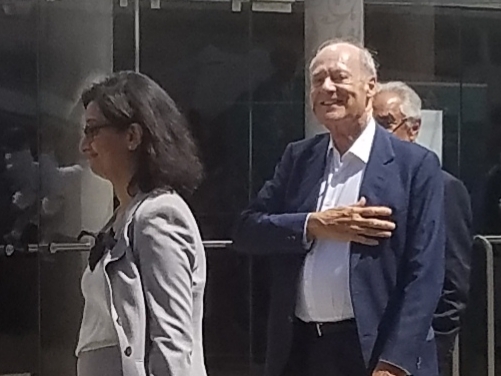 Prince Amyn Aga Khan was accompanied by Prince Rahim, Princess Salwa and their 2 kids: Prince Sinan and Prince Irfan. Princess Zahra was accompagnied by her 2 kids, Prince Ilyan and Princess Sarah. Mohamed Eboo talking to Princess Salwa, Prince Irfan beside, Prince Ilyan son of Princess Zahra follows. Prince Rahim with Princess Salwa, Prince Irfan and Prince Sinan. 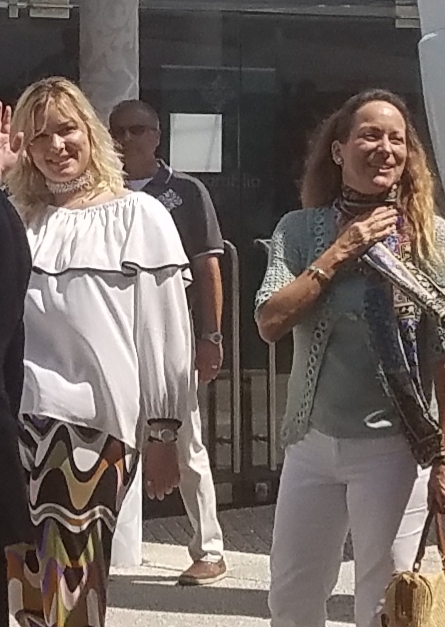 2018-07-09 Lisbon, Portugal - Celebration started on 5th of July 2018. 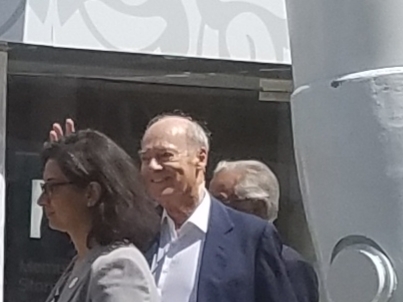 The Ismaili community's happiness of the Jamat comes from the fact that it is celebrating the 60th anniversary of Imamate of H.H. 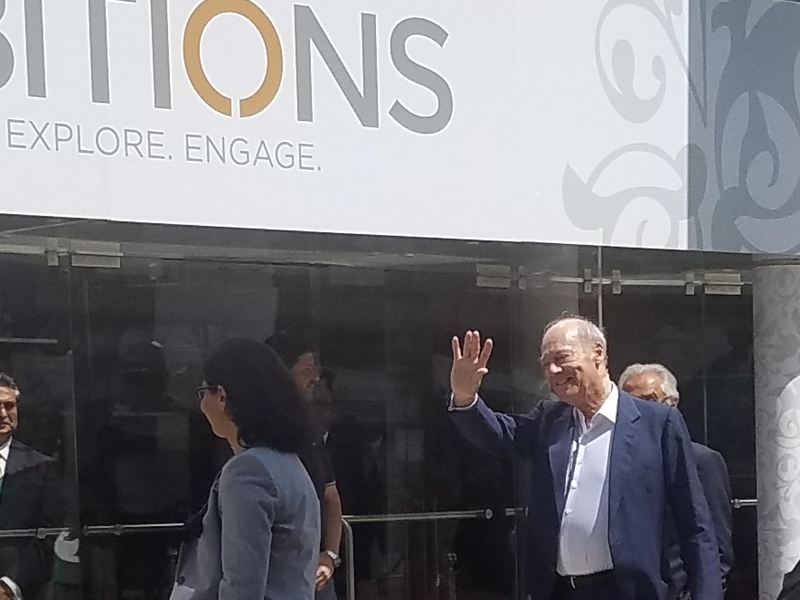 The Aga Khan, a Diamond Jubilee! 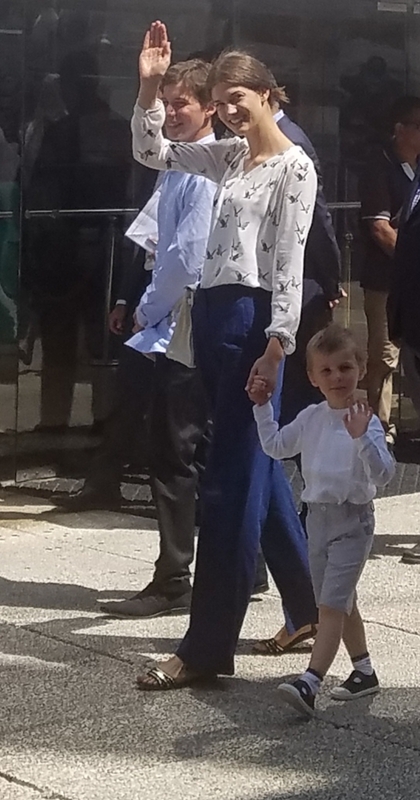 After the surprise visit of Prince Aly Muhammad and Prince Hussain on 8th July 2018, the next day Prince Amyn, Prince Rahim and family as well as Princess Zahra and family attended the festivities to the surprise of the Jamat. Princess Zahra with daughter Sarah. 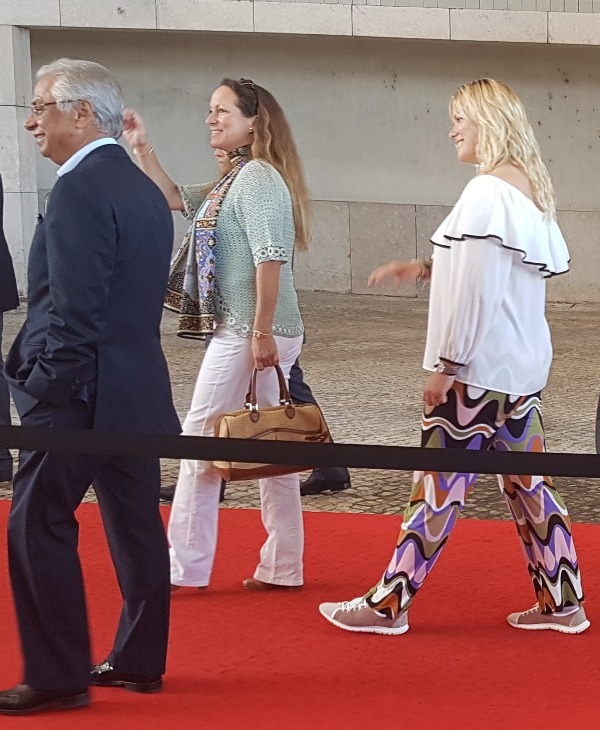 2018-07-09 Prince Rahim and Princess Salwa visited the site of the Diamond Jubilee Celebrations in Lisbon, Portugal and attended to part of the Talent Show after visiting the Rays of Light as well as the International Art Exhibition. 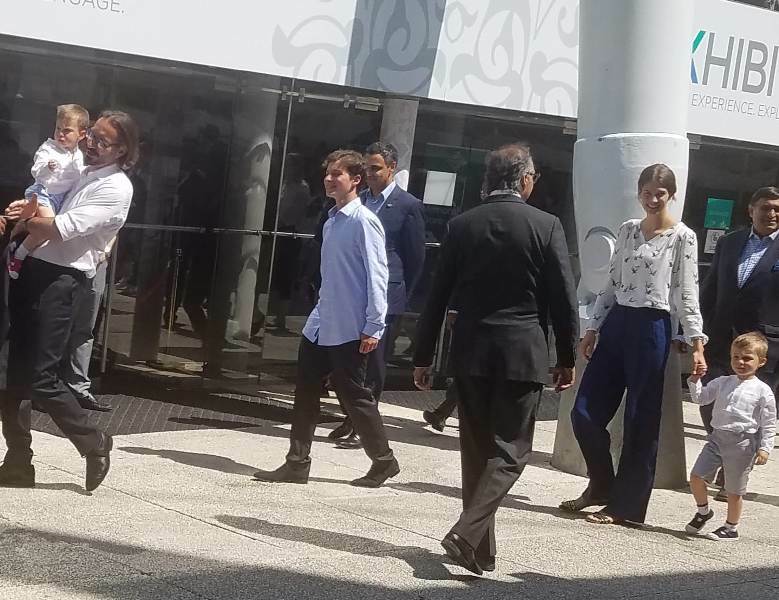 2018-07-09 Prince Rahim and Princess Salwa visited the site of the Diamond Jubilee Celebrations in Lisbon, Portugal and attended to part of the Talent Show after visiting the Rays of Light as well as the International Art Exhibition. They came with their sons Prince Irfan and Prince Sinan. Prince Amyn lead the family to the program which was also attended by Princess Zahra and her children Prince Ilyan and Princess Sarah. What an exceptional, happy and emotional moment.